A Victorian silver Sewing Necessaire with a Seal. 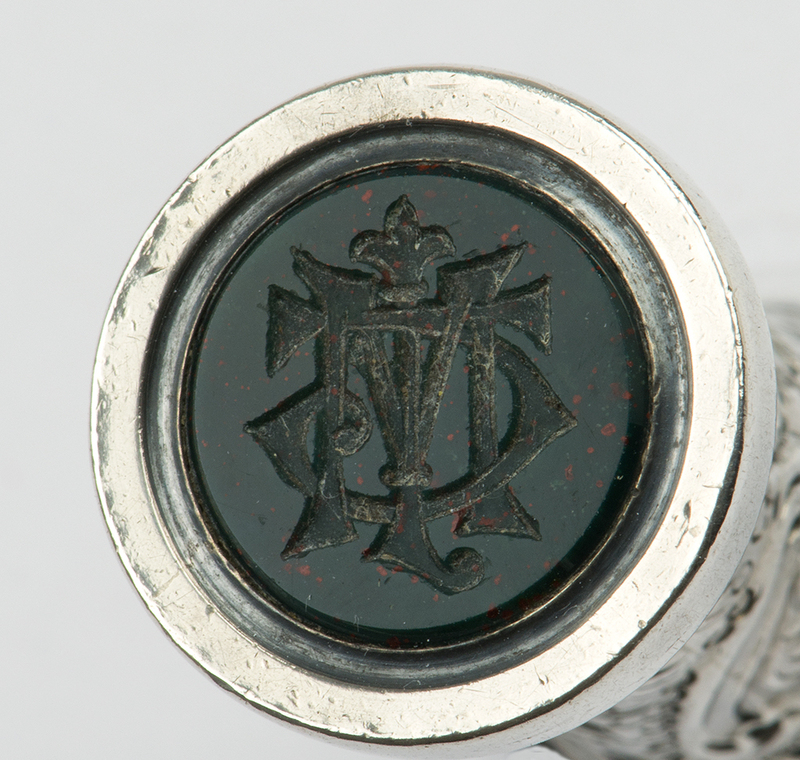 A Victorian silver Seal with a Sewing Necessaire, the stone matrix cut with gothic initials. 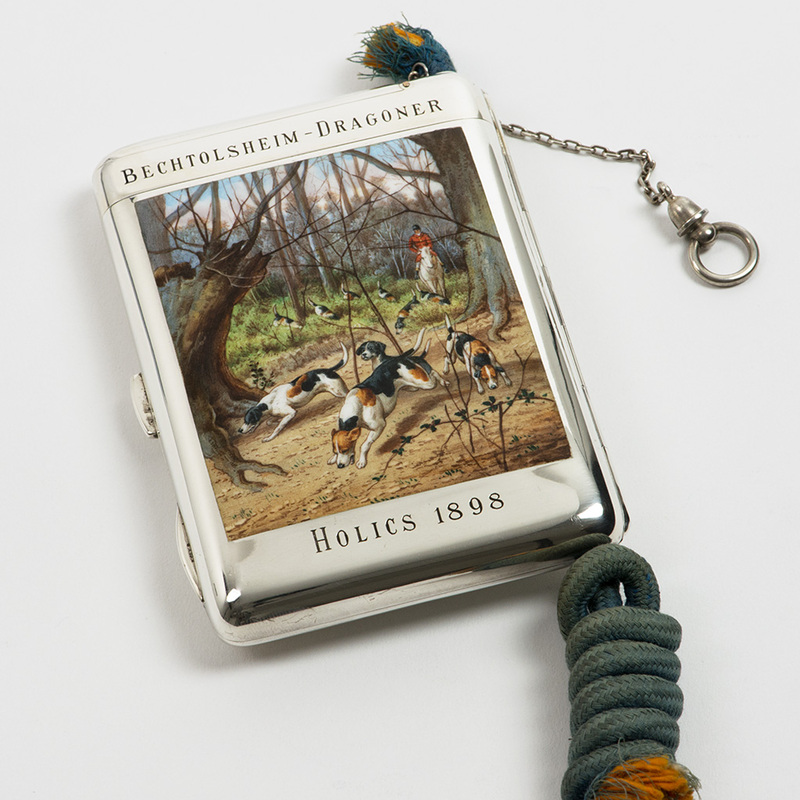 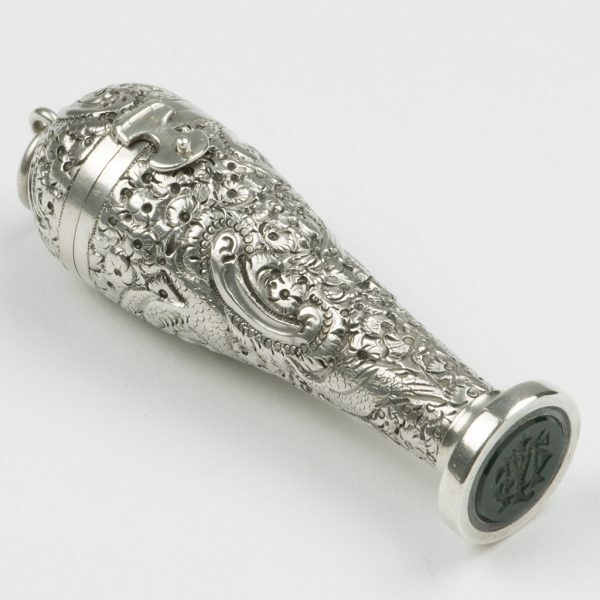 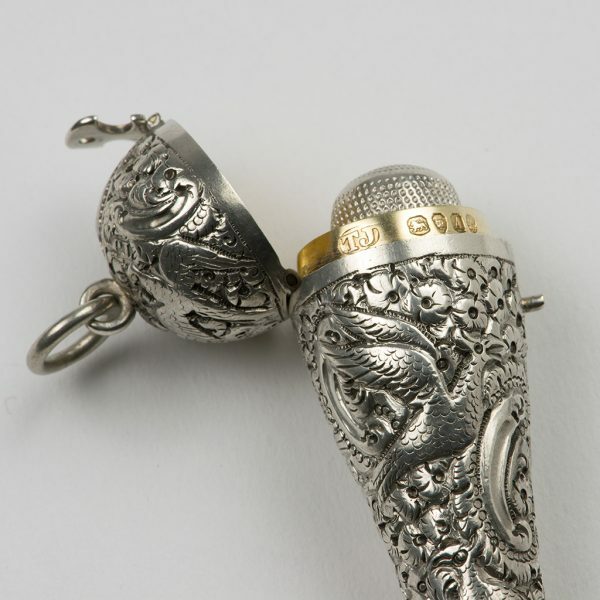 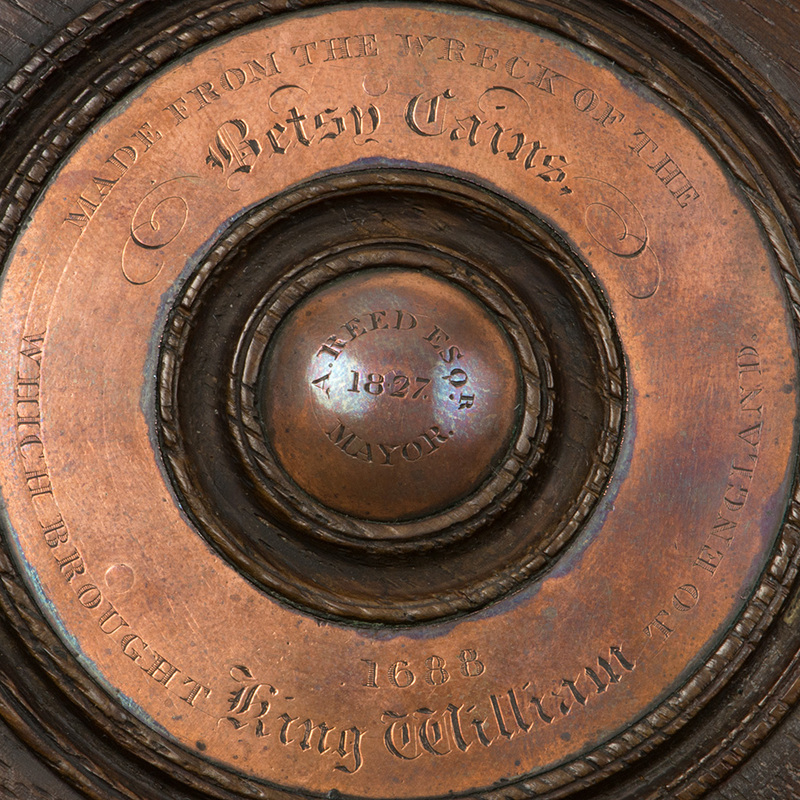 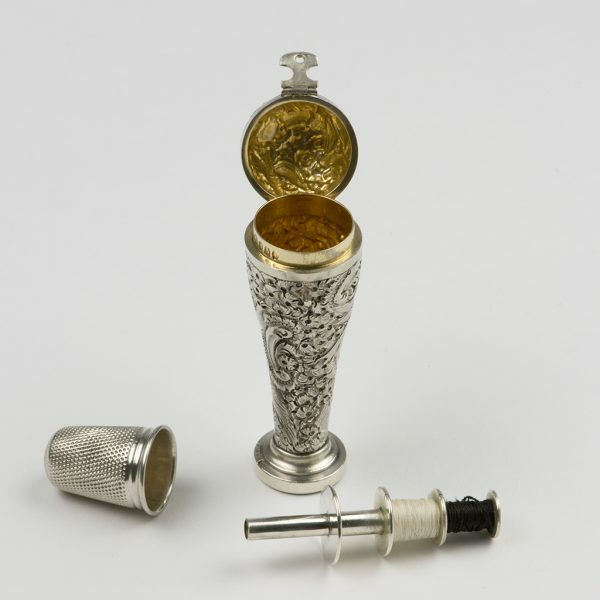 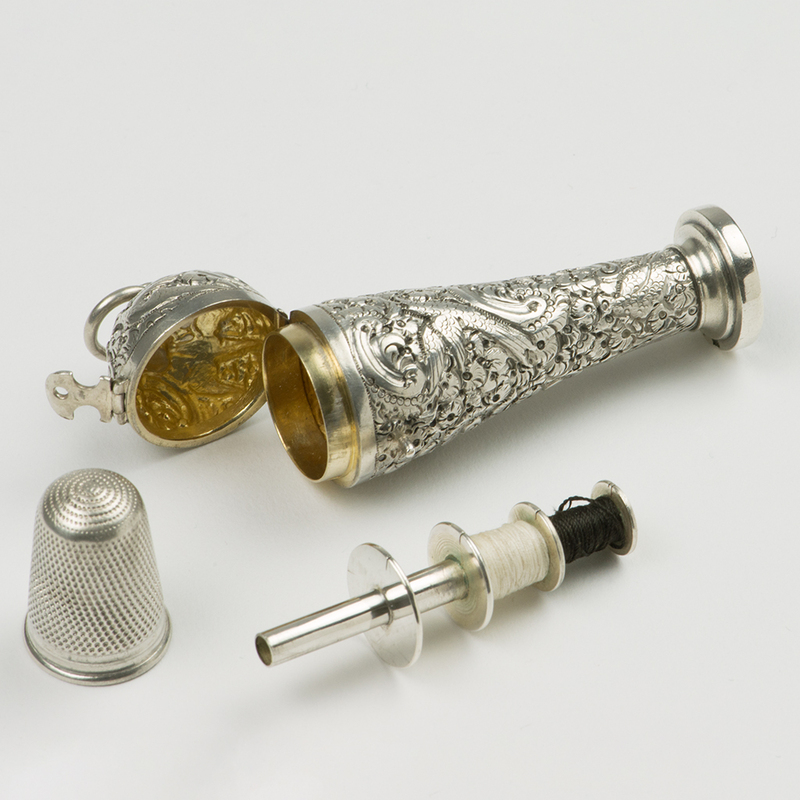 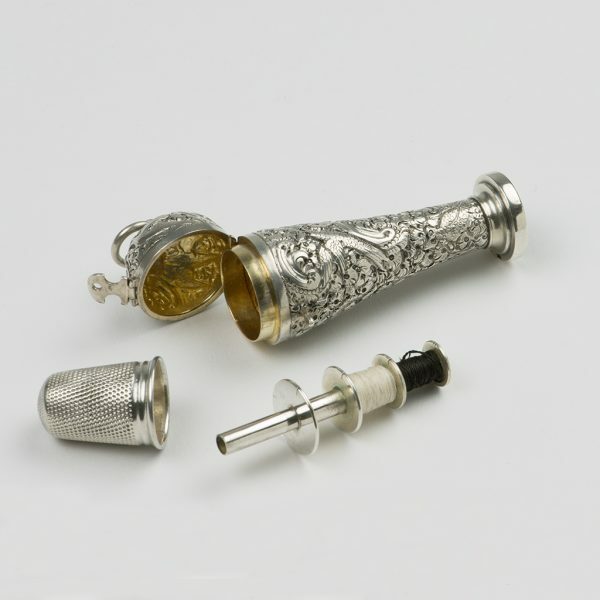 The case, which is chased with scrollwork and birds of paradise, contains an unmarked thimble and spool winder, by Thomas Johnson, London 1876. 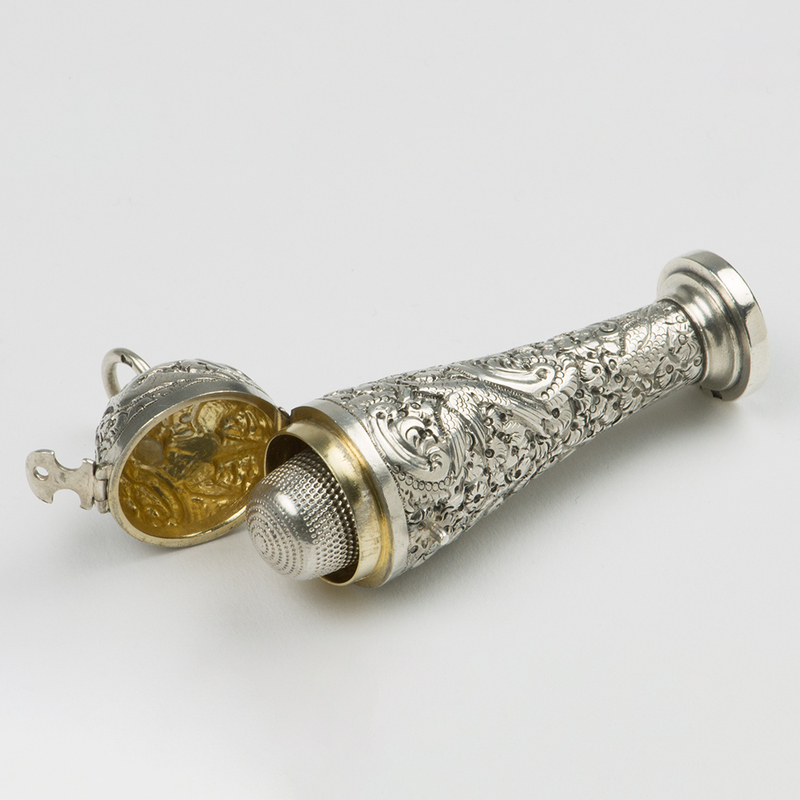 Send Enquiry for A Victorian silver Sewing Necessaire with a Seal. 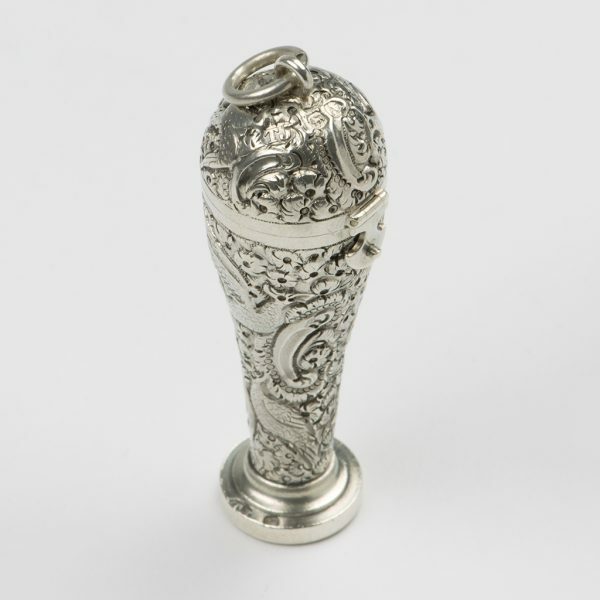 Height – 7 cm. 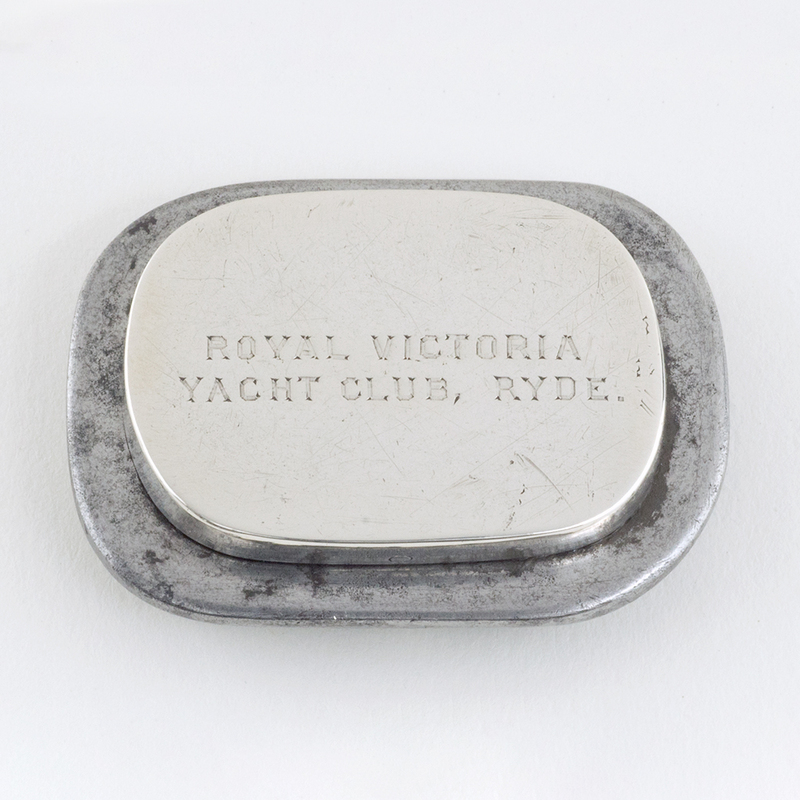 ; Width – 2.30 cm. 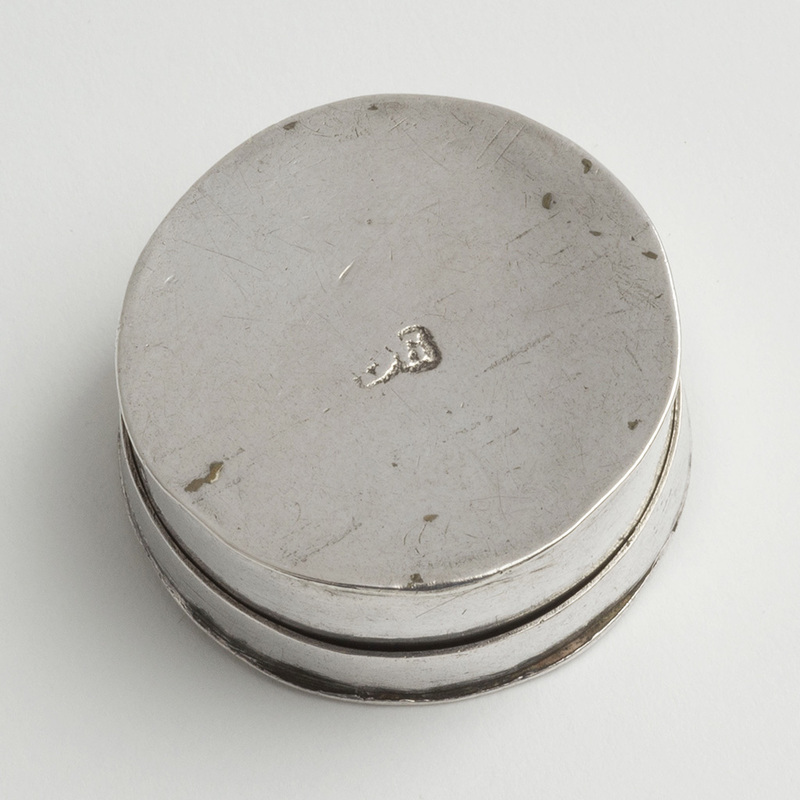 ; Weight – 41.60 gms. 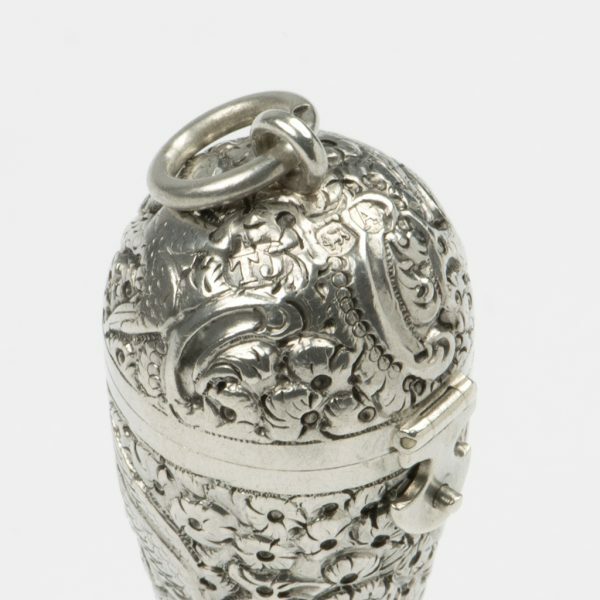 A Queen Anne silver Patch or Counter Box. 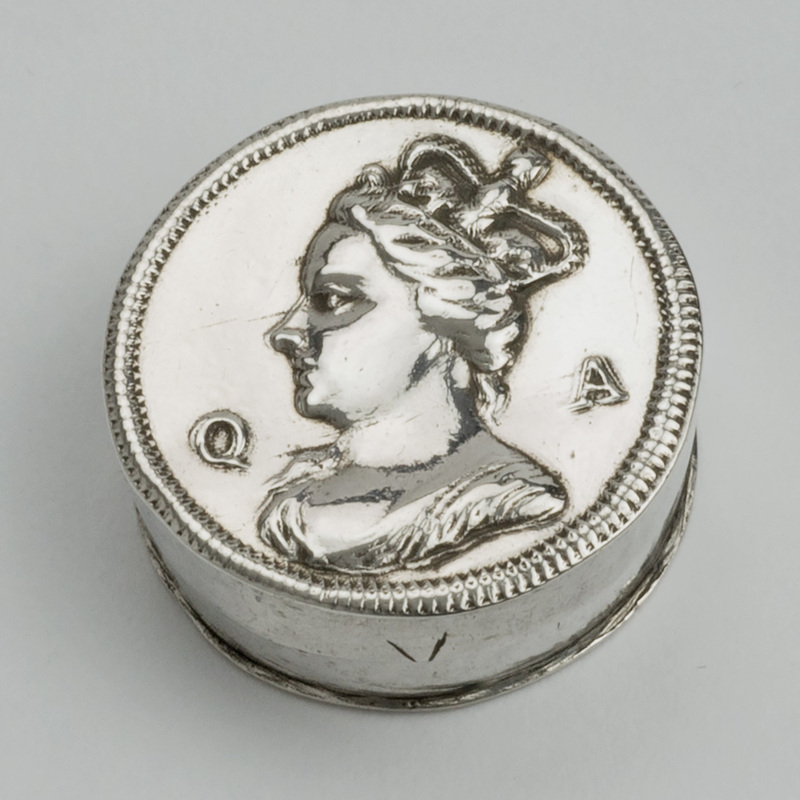 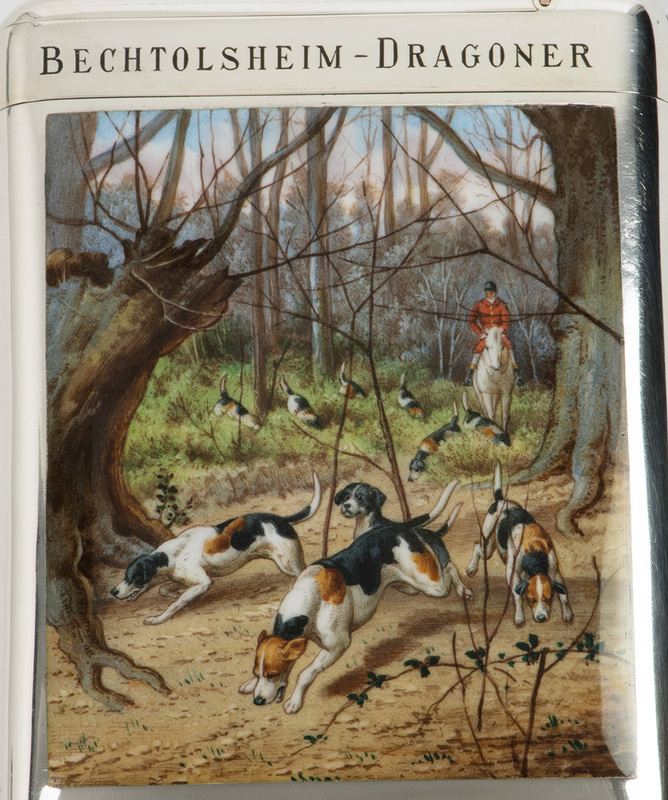 Send Enquiry for A Queen Anne silver Patch or Counter Box. 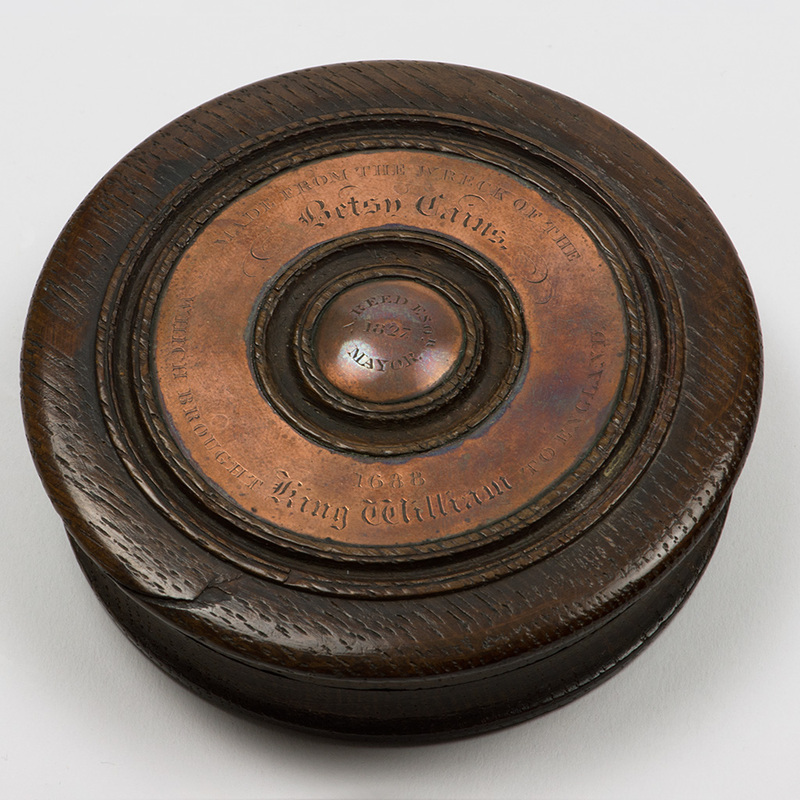 previous post: A George IV boat-shaped Snuffbox. 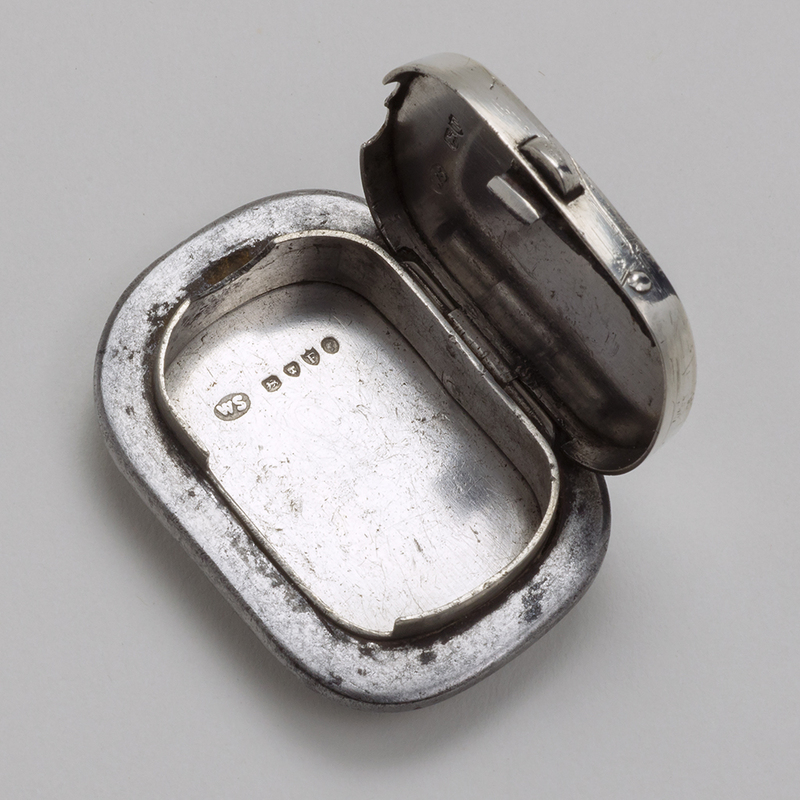 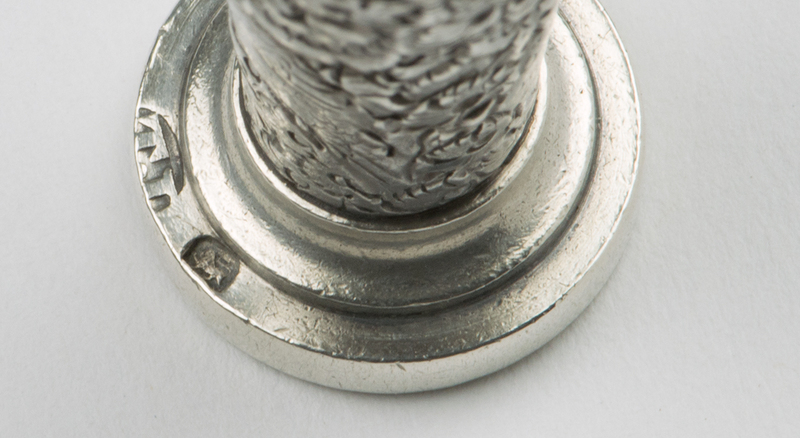 next post: An unmarked silver Vinaigrette.